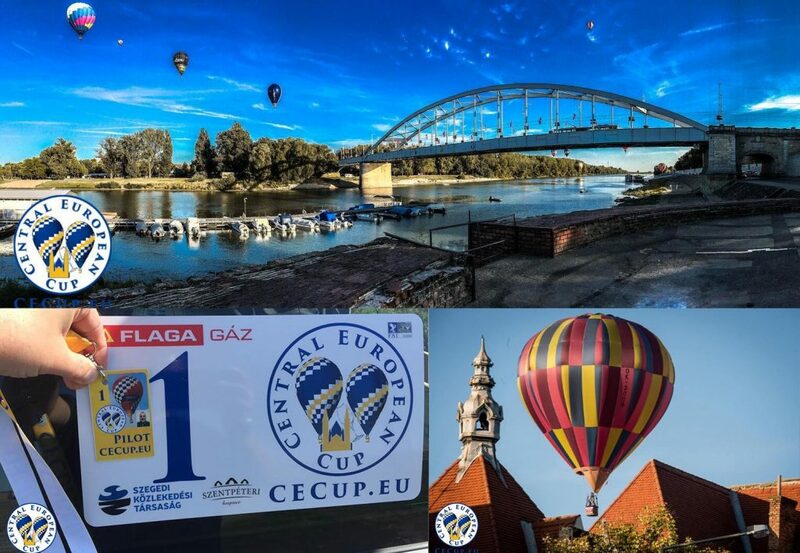 We would like to invite you to the 2nd Central European Cup hot air balloon competition and to the 38th Hungarian National Championship and to the 3rd Szeged Ballon Cup fiesta and to the BorTér winefestival, where more than 100 wineries presents excellent products and the third Szeged Airshow which is the largest flying event in the region. The Central European Cup hot air balloon competition is open to all NACs which have met their obligations to the FAI. Pilots-in-command shall have been authorized to act as pilot-in-command of that sub-class of aerostat for which the event is held, at least twelve months prior to the start of the event. Each pilot-in-command shall have accumulated at least 50 hours as pilot-in-command of aerostats of that sub-class by the closing entry date. The maximum size category is AX8 (3000cbm/105000cft). The logger used in this Event is the FAI/CIA Flytec logger, no observer and we will apply the AXMER 2018. The Szeged Balloon Cup hot air balloon fiesta is open to all pilots but each pilot-in-command shall have accumulated at least 30 hours as pilot-in-command of aerostats of that sub-class by the closing entry date. No maximum size category. No entry fee with special shape.